Establish a Red Hen capture station in Portugal. Note: instructions on this page are based on instructions provided on the page for Slick Capture. For the executive version, see How to set up a Red Hen capture station. Equipment: Mac OS X Yosemite, Raspberry Pi 2 B, HDHomeRun Dual (European Version), . . .
See discussion at Advanced Users. It may be worth moving the system logs to a USB drive to spare the SD card. If system logs are moved to USB, we may be able to physically set the little tab on the SD card to a locked position to prevent any changes, as a security measure; see Protect your Raspberry Pi SD card with a read-only file system. See also MicroSD backup and Preparing a custom image below. Before we can automate the capture process, we need to configure the operating system and install the Red Hen capture scripts. A Red Hen capture station uses a customized environment of Debian Linux. # This sets the priorities correctly for stable (jessie), but not for testing and unstable. # The order is critical -- FIXME! We cannot use packages directly from Debian, since they are compiled for ARM v7 and Raspbian is compiled for ARM v6 (Raspberry Pi 2B and 3B support both). However, in some cases, a package may be available in Debian that is not (yet) available in Raspbian. In that case, we can install the package from the Debian source package, as follows. Unmount when the drive is idle and remount. It may be useful to include not only deb-src but also deb, to see which packages are available with "just available", for instance "just available dvblast". When you have added the repository, comment out all the other repositories to prevent any confusion about which version to download. Run "just update" as user root. This will build a Debian package of the application. Switch back to user root, install the new package and copy it to any other RPi that needs it. Make sure you also revert your changes to /etc/apt/sources.list and run "just update". install -m 644 dvblast.1 "/mnt/HD1/software/dvblast/dvblast-3.1/debian/dvblast/usr/share/man/man1"
install dvblast dvblastctl dvblast_mmi.sh "/mnt/HD1/software/dvblast/dvblast-3.1/debian/dvblast/usr/bin"
dpkg-deb: building package `dvblast' in `../dvblast_3.1-1_armhf.deb'. Install the appropriate locales, including en_US.UTF-8, en_US, and pt_PT.UTF-8. Set default locale to en_US.UTF-8. Local time is now: Tue Mar 29 16:59:29 WEST 2016. Universal Time is now: Tue Mar 29 15:59:29 UTC 2016. Status: "Synchronized to time server 141.78.3.236:123 (ntp1.ku.de)." Jul 06 17:28:15 odin.ku.de systemd: Started Network Time Synchronization. Jul 06 17:28:15 odin.ku.de systemd-timesyncd: Synchronized to time server 141.78.3.236:123 (ntp1.ku.de). Warning: Ignoring the TZ variable. Reading the system's time zone setting only. 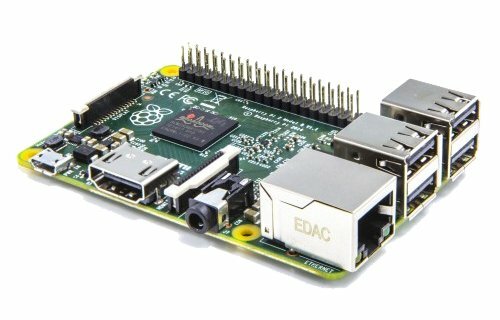 Note that Raspberry Pis do not have a hardware clock, so each time it is rebooted, it needs to read the time from the Internet. Alternatively, use dvbdate from dvb-tools to set the time (untested). This is the preferred solution, since it's not dependent on a live Internet connection. If you forget, the crontabs of the recording schedule will use the previous timezone. For instructions, see Securing VNC with SSH. The dvbhomerun provides drivers for the HDHomerun devices that are fully integrated into the Linux digital television framework. This means we can use the usual Linux tools such as w_scan and gnutv -- tools we've used for years at the capture stations at UCLA. Importantly, we may also be able to use tvheadend, which provides a web-based scheduling tool that connects with the xmltv EPG. If the driver fails, we can remove the packages and maybe downgrade the kernel. Raspbian comes with an LXDE menu; to customize, use the menu editor and see Adding LXDE start menu entries and desktop shortcuts. Menu entries are defined in .desktop file located in /usr/share/applications/usr/share/applications; they can be added and edited. For Raspberry Pi 3B (see updates), we cloned the fenix image and added the Bluetooth plugin for the lxpanel taskbar by right-clicking on the taskbar and following the menu selections. You can then click on the Bluetooth icon in the taskbar, make the RPi discoverable, scan for devices, and pair them. Once paired, the devices should automatically reattach on reboot. or run any VNC client. I then ran "find-tuners.sh", which generated /tvspare/tuners/signal, which I copied to /tvspare/tuners/current. This list of tuners is used to assign the two tuners dynamically to each new recording process. The system is designed to handle a pool of HDHR3s shared between several recording machines and is overkill for the RPi, but should work fine—and will scale as needed. where channel is the name of the script, 1 is the RTP-1 program 1101, "Program name" you fill in, and 1 is just a marker for our online schedule validator, which we may or may not end up activating. Files are recorded to /mnt/spool. Ideally, this would be an external harddrive, to remove some of the load on the solid-state drive. It could even be a 7200rpm externally powered drive that would be fast enough to handle two simultaneous recordings, though this is not of first importance. 1 3 17 6 * channel 58, 60min, "US Presidential Politics", 3, "Donald Trump Presidential Campaign Announcement"
I created a crontab for user csa with a single-run test example. Subject: Cron <csa@fenix> channel 1, 10min, "TEST", 1, "Optional comment"
You can see these e-mails in the alpine mail reader. So far, everything seems to be working, so if you could schedule some actual news programs, that would be great. The file that ends in .t is a header file, used to construct the eventual teletext file, but I've not set that up yet. for yesterday, and so on going backwards in time. The directories are created automatically. The lineup file is used as a lookup table by the various scripts that need this information. 00 20 * * * channel 3, 60min, "Jornal da Noite", 1, "National evening news"
10 20 06 11 * channel 1, 10min, "TEST", 1, "Optional comment"
19 21 06 11 * channel 2, 10min, "TEST", 2, "Optional comment"
08 00 07 11 * channel 3, 10min, "TEST", 2, "Optional comment"
The script xmltv-download.sh daily fetches the broadcast schedule for the networks we're interested in. In honor of the new recording location, we wrote a new script, scheduler.sh, which examines the downloaded schedule for shows we record and automatically generates the crontab recording schedule, see Automatic scheduling. For the entire process to be automated, we also need the scripts that extract the text, compress the video, and copy the completed files to NewsScape, as described in the sections below. The Portuguese television transport stream typically contains a timestamped transcript of the news show. We use CCExtractor to extract these subtitles. For how to retrieve and compile CCExtractor, see Brazil Capture Station. 20151107000800.480|20151107000806.040|888|:) - Está aqui a tua parte. - Nem sei como te agradecer. 20151107000806.240|20151107000809.880|888|É fruto do teu trabalho. Mereceste-o. 20151107000810.360|20151107000815.720|888|:) - Sabes a Dona Zezela ? - Sei. 20151107000816.160|20151107000821.520|888|- Gostou do ajuste no vestido. - Eu alonguei o vestido. 20151107000829.320|20151107000833.120|888|:-/ Esse dinheiro é para ti. Para ficares bonita. 20151107000835.920|20151107000840.080|888|:) Tenho um vestido que te ficará muito bem. 20151107000842.200|20151107000847.480|888|:) - Está aqui. Olha. - Não é muito ousado ? 20151107000847.760|20151107000852.400|888|(Indira) Experimenta-o. Dá-te cor e vida. 20151107000858.080|20151107000900.480|888|:) Eu sabia que ficaria maravilhoso. 20151107000901.120|20151107000905.600|888|:) - Só tenho de tirar a etiqueta. :) - Olha os meus ombros. 20151107000905.840|20151107000910.560|888|:) Estás linda ! Vai para casa. Não aceito devoluções. 20151107000910.800|20151107000914.320|888|:) - É uma prenda ? (Indira) - Vai para casa. 20151107000914.520|20151107000919.800|888|:) Veste-te bem, arranja um jeitoso que te mereça e valorize. 20151107000923.440|20151107000927.840|888|:) - Indira, obrigada. :) - De nada. 20151107000928.640|20151107000933.240|888|:) - Dá uma volta. (Domingas) :) - Que vergonha. 20151107000948.000|20151107000951.280|888|:-O Tina ! Acabou-se a comida ! 20151107001001.360|20151107001006.680|888|:) Esquece isso. Vem cá. Olha para a luz. 20151107001007.160|20151107001011.440|888|:-& Que luz ? Há roupa espalhada e louça para lavar. 20151107001011.840|20151107001016.520|888|- Lava tu a loiça. :-s - Eu ? 20151107001021.600|20151107001024.680|888|:-s - O que está a acontecer ? - Decidi ouvir-te. 20151107001024.960|20151107001028.640|888|:-s - A mim ? - Não disseste para sermos livres ? 20151107001030.320|20151107001035.680|888|:-& Já não precisas de ir trabalhar para o escritório. 20151107001035.880|20151107001040.920|888|:-& A Tina dona de casa acabou. A Tina morreu. 20151107001042.840|20151107001045.520|888|Agora sou a Tina do morro da macaca. 20151107001049.160|20151107001052.880|888|:-& - Não estás nada bem. - Estou maravilhosa. 20151107001054.200|20151107001057.920|888|:-s - Estás a beber ? - Desde o meio-dia. 20151107001059.960|20151107001105.120|888|:) A vida de favelada é demais. Comprei torresmos. 20151107001106.880|20151107001109.440|888|:) - Rapaz ! :-& - Estás bêbada ! 20151107001110.000|20151107001112.280|888|(Tina) :-& E tu estás chato ! 20151107001113.560|20151107001116.880|888|:-& - Acabou a festa. - Está só a começar. 20151107001117.160|20151107001121.640|888|:-& - Onde vais ? - Vou sair à noite ! 20151107001122.080|20151107001127.840|888|:-& Não tens a menor condição... Tina ! Tina ! 20151107001133.400|20151107001137.440|888|(Domingas) :-& - Olá. - Tens um vestido novo ? 20151107001137.640|20151107001139.960|888|:-& - Gostaste ? - É parecido contigo. 20151107001146.600|20151107001148.160|888|:-& Vai para o inferno. 20151107001150.520|20151107001154.600|888|:-/ - Como ? Queres apanhar ? :-& - Larga-me ! 20151107001154.840|20151107001156.840|888|:-/ - Dá-me o dinheiro ! :-& - Não tenho dinheiro. 20151107001157.040|20151107001200.320|888|:-/ - Como compraste o vestido ? :-& - A Indira deu-mo. 20151107001200.520|20151107001203.720|888|:-/ - Porquê ? :-& - Porque tem pena de mim. 20151107001203.960|20151107001206.760|888|:) - Pena de ti ? :-& - Ela vê como me tratas. 20151107001206.960|20151107001212.480|888|:-& - Um dia denunciam-te. :-/ - Antes parto-te os dentes. 20151107001214.520|20151107001220.320|888|:-/ És uma ingrata. Devias agradecer por não te ter deixado. 20151107001220.960|20151107001224.600|888|:-/ Há tantas mulheres jeitosas e fico contigo. 20151107001225.160|20151107001228.760|888|(Juca) :-/ Esse cinto não combina com essa roupa. 20151107001228.960|20151107001230.520|888|:-/ O dinheiro está aqui ? 20151107001230.760|20151107001234.440|888|(Domingas) :( Para ! Não tenho dinheiro. 20151107001234.640|20151107001236.920|888|:( - Por favor... :-/ - O dinheiro ? 20151107001237.280|20151107001240.680|888|:( O dinheiro é para pagar as contas da casa. 20151107001241.600|20151107001244.960|888|:-/ Sou o homem da casa. O dinheiro é meu. 20151107001245.080|20151107001250.240|888|:( - Então devias ganhar dinheiro. :-/ - O que disseste ? 20151107001257.400|20151107001300.440|888|:-/ Da próxima vez, mando-te para o hospital ! 20151107001301.000|20151107001305.280|888|(Juca) :-/ Quando eu voltar, quero tudo arrumado ! 20151107001306.800|20151107001310.920|888|:( Dá-me o meu dinheiro. Por favor, Juca. 20151107001412.720|20151107001416.000|888|(---) Já te agachaste ? E já saltaste ? 20151107001416.200|20151107001417.640|888|(---) O que falta ? 20151107001436.320|20151107001440.120|888|(Rui) :-s Tina ! Tina, estás maluca ? 20151107001440.520|20151107001444.680|888|(Rui) :-& - Vamos embora ! (Tina) :) - Estou a adorar ! 20151107001444.960|20151107001448.480|888|:-& - Que vergonha. :-/ - Deixa-me em paz ! 20151107001448.880|20151107001452.040|888|:-& Estás louca ? Estás a expor-te ! 20151107001452.640|20151107001457.400|888|:-& Quero que falem de mim na favela ! 20151107001457.800|20151107001501.160|888|:-& - Vamos para casa ! :-& - Aquela barraca ? 20151107001502.200|20151107001505.720|888|:-& - Vamos embora ! :-& - Vem para o varão ! 20151107001506.400|20151107001510.360|888|:-& - Chega ! - A barraca está uma confusão ! 20151107001510.600|20151107001515.560|888|:-& Cheira mal e está nojenta ! Mas não há problema ! 20151107001515.760|20151107001518.280|888|:-& Vamos ser felizes ! 20151107001523.080|20151107001527.040|888|(Rui) :-s Tina ! Tina ! 20151107001527.960|20151107001530.960|888|:) Aqui acontece sempre o inesperado ! 20151107001531.200|20151107001532.840|888|:) É o melhor da cidade. 20151107001533.120|20151107001536.360|888|:) Temos camarão e champanhe do bom. 20151107001536.760|20151107001538.720|888|:) - És o Juca ? :) - Sim. 20151107001538.960|20151107001542.000|888|:) - O que fazes ? :) - Sou empresário. 20151107001542.200|20151107001547.760|888|:) Todos me conhecem. Nunca vi o teu sorriso na macaca. 20151107001548.360|20151107001550.920|888|:) - Sou de Madureira. - Que beleza. 20151107001553.160|20151107001557.800|888|:) Estou a pensar abrir um negócio em Madureira. 20151107001558.840|20151107001604.040|888|(Domingas) :-& É nesta mulher que gastas o meu dinheiro ? 20151107001604.440|20151107001608.400|888|(Juca) :-/ Estás louca ? Vai para casa ! 20151107001609.000|20151107001614.760|888|(---) :-O Larguem-me ! Não me toquem ! 20151107001621.960|20151107001629.560|888|(Zé Maria) Aqueci o molho. 20151107001630.600|20151107001634.360|888|- O molho fica à parte. :) - Nossa Senhora. 20151107001634.560|20151107001638.440|888|Tem muitas ervas e vinho tinto. 20151107001639.200|20151107001643.080|888|:) - Trouxe pão fresco. (Djanira) :) - Surpresa ! 20151107001643.320|20151107001647.320|888|(Djanira) :) - Vê quem veio ! :) - Tudo bem, Tóia ? 20151107001649.680|20151107001653.320|888|(Djanira) :) Ainda bem que trouxeste o pão fresco. 20151107001653.560|20151107001656.560|888|Tínhamos de fazer a sanduíche com pão velho. 20151107001657.600|20151107001701.880|888|:) Que beleza. Vai ficar muito bom. 20151107001706.240|20151107001711.720|888|Antes do pernil que eu trouxe, quero dar-te esta prenda. 20151107001712.280|20151107001715.680|888|- É de coração, para ti. :-s - Para mim ? 20151107001716.560|20151107001720.200|888|:) Queria ter-te dado da outra vez que estive aqui. 20151107001720.400|20151107001722.560|888|(Zé Maria) :) Vê se gostas. 20151107001724.400|20151107001727.520|888|:) - É bonito. :) - Põe ao pescoço. 20151107001730.120|20151107001733.680|888|:) - Obrigada. (Zé Maria) :) - De nada. 20151107001734.800|20151107001737.880|888|Só penso que arrisca a vida ao vir aqui. 20151107001738.160|20151107001741.360|888|- Porquê ? - Está a ser perseguido. 20151107001741.800|20151107001744.760|888|A minha família vale o risco. 20151107001746.880|20151107001752.080|888|Da última vez que estive aqui, fui-me embora chateado. The RTP-1 broadcasts Telejornal, its main evening news show, at 20:00, with excellent teletext captions. We now record this show on a regular schedule, tracked by the new schedule script. We currently transfer the uncompressed files to the Hoffman2 high-performance computing cluster at UCLA, which processes the files and sends them to the NewsScape search engines and archival servers. However, in some cases it may be necessary or desirable to perform the compression locally, either with software codecs or with the hardware codec built into the Raspberry Pi. It's supposed to encode SD video faster than real time. On a Raspberry Pi 3B, such as odin, software compression takes around twice the length of the recording. This is fast enough to be a realistic option. On a Raspberry Pi 2B, such as redhen3rpi, software compression takes 4 hours and 39 minutes to processes a one-hour 981MB mpeg file; this is typically too slow to be useful. You can then use the ts2mp4-single-02.sh script as above and encode a one-hour video in about 20 minutes. The quality is decent, but not as good as software-encoded files. This makes each partition of the backup image available for editing. You can mount the image partition on any Linux machine and edit the text files -- for instance, change the host name, or create a new /etc/redhen.config file. Information not known beforehand can be added once the new unit is on site. This makes the distribution of images safer.